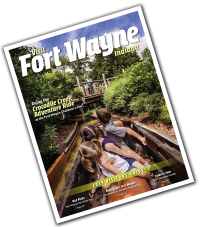 Posted on July 25, 2013 at 5:00:00 am by Michelle M.
Update: Check out our Free in Fort Wayne Summer and Winter editions, updated annually. Let’s face it, most of us are on a budget and it can be hard to find something fun to do when you’re strapped for cash. In Fort Wayne, we know how to have fun for little or no expense. Here are a few ideas for when you&apos;re feeling like having some fun, but don&apos;t want to spend a bundle! 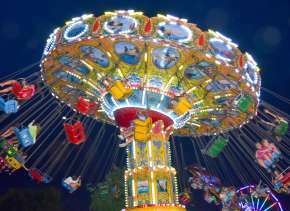 Check Out the Festivals We love our festivals in Fort Wayne. Many take place at Headwaters Park in Downtown Fort Wayne while others take place throughout the city. 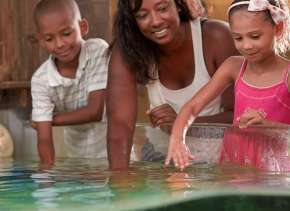 While some charge admission, many offer free admission at various points during the weekend allowing you to enjoy the sites and sounds without the expense. Don&apos;t miss Fort Wayne favorite, Johnny Appleseed in September! For a complete list of check out the schedule at Visit Fort Wayne. Make a Splash Fort Wayne offers 7 splash pads for your warm weather enjoyment. These very popular play areas are free to play in and will help keep you cool on the hottest of summer days. For a complete list of splash pad locations, visit the Parks and Recreation website. Movies in the Park Throughout the summer, Foellinger Outdoor Theater offers free family friendly movies. With flicks like Brave, and Oz: The Great and Powerful, these family-friendly movies are sure to please the entire family. Each show starts at 9 pm and is sponsored by 97.3wmee. All movies are free to attend. Enjoy the Music The Foellinger Theater also offers free music throughout the summer on their outdoor stage. Performances include the Fort Wayne Area Community Band, the Fort Wayne Chidlren’s Choir, Knights on the Town/Alley Kats, and Summit City Chorus. This series is sponsored by the Lincoln Financial Foundation and is completely free to attend. Trek the Trails Fort Wayne has many great trails for you and your family to walk, jog, bike and take in the beautiful scenery! All of these trails connect to our cities parks, attractions, downtown, and more! 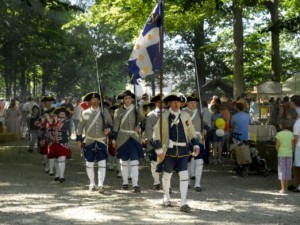 You can go for nice stroll, or make a day of exploring the trails, and Fort Wayne! 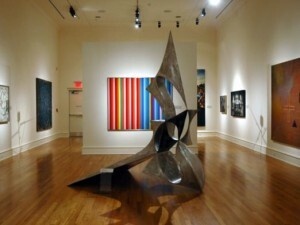 Take in the Arts The Fort Wayne Museum of Art is FREE to the public on Thursday evenings from 5-8 and all day Sunday every week. Enjoy the amazing exhibits and beautiful works of art without having to spend a dime. 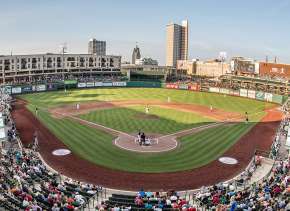 Be a Tourist in Your Own Town Each year Visit Fort Wayne encourages locals and visitors alike to tour the town. This is especially a great opportunity for Fort Wayne residents who don&apos;t always have the chance to explore local attractions, a chance to see what downtown Fort Wayne has to offer! Many attractions and businesses offer free admission to their locations during this event, and passports are given out for each party touring around. Taking place in early September each year, this is an event worth keeping an eye out for. Watch the Be a Tourist page for more information. Did we miss anything great that you love to do around town without breaking the bank? Let us know in the comments below!